Kimberly has eight years of trial litigation experience with a top national law firm. During that time, she was named a "Rising Star" by Minnesota Law and Politics in 2006, 2007, and 2009 and an "Up and Coming Attorney" by Minnesota Lawyer in 2008. Call Twin Cities divorce attorney Kimberly Miller to schedule your free initial consultation. 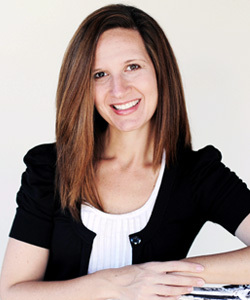 “Kimberly Miller worked as a mediator and counselor to handle a very difficult family situation that involved many variables and a number of challenging personalities. Her work assisted the entire family, including three children, identify mutual goals and come to a very satisfactory resolution. Kimberly is still working with us to continue to guide and implement the agreement and teach us new ways to address conflicts as they arise.” - G.M.